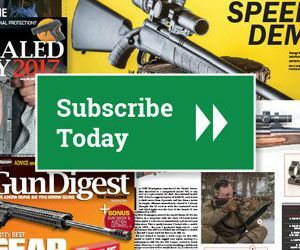 We met up with Gun Digest author Patrick Sweeney at Media Day at the Range, who was eager to discuss his new Gun Digest Book of the AR-15, Vol. IV, to be released soon. He seemed eager to shoot the AR-15s, too.